Keith Urban fans were in for a treat when the “Blue Ain’t Your Color” singer teamed up with Spotify for a listening party to celebrate the upcoming release of his album Graffiti U. In a video shared to Urban’s Instagram page, Nicole looks adorable in a black and white polka dot dress as she sits on a stool and watches Keith with pride. She occasionally leaned in to the mic to lend her vocals to Keith’s. Another video posted to Twitter shows the full performance. 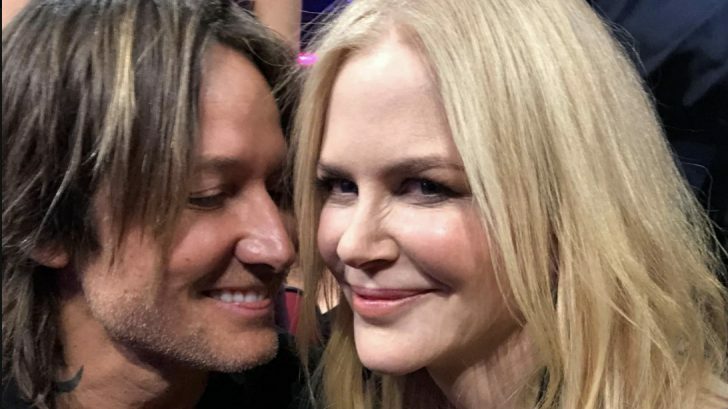 Keith Urban and Nicole Kidman wed nearly 12 years ago and shared two daughters, Sunday (9) and Faith (7). Urban will hit the road on 2018 for his Graffiti U Tour, which is scheduled to launch on June 15 in St. Louis, Missouri. The tour will run for 58 shows in the U.S. and Canada before wrapping up in November.